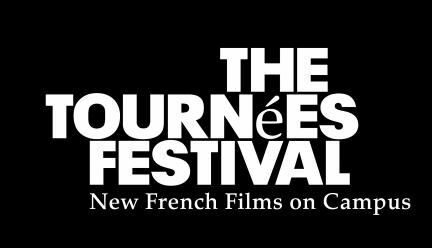 NEW WILMINGTON, Pa.– Westminster College will host the 5th annual Tournées French Film Festival this year every Tuesday evening at 7 PM between January 31 and March 7. The festival will feature five contemporary and one classic French films. The screenings take place in Mueller Theater in the McKelvey Campus Center. Each film will be introduced by a Westminster student or faculty member, and a discussion will follow. The film festival is free and open to all. Opening the festival on Jan 31 is the film Dans la cour (In the Courtyard). In the Courtyard depicts the life of a French man, Antoine, who gives up his career as a rock singer to take a job as the live-in custodian of a modest Parisian apartment building that seems to be a magnet for residents who share his emotional fragility. La cour de Babel (School of Babel) will show Feb 7. School of Babel follows a year in a Paris schoolroom for children who have recently immigrated to France. In an age of resurgent uneasiness with all that is foreign, this documentary is a powerful antidote to fear and suspicion and an inspiring source of hope for France and the world. Showing on Feb 14 is the contemporary French film, Saint Laurent. Saint Laurent is a lushly executed, unorthodox biopic of superstar fashion designer Yves Saint Laurent. The film reveals the nuances of a legendarily remote character all while capturing the electricity of his subject’s milieu with astute blue chip casting, moody scoring, and sensual camera movement. Mustang is a Turkish-French film, will play on the Feb 21. Mustang begins when five orphaned sisters are locked inside their house in Turkey after their grandmother and uncle learn they have been seen splashing around in the sea with boys. The rebellion of the youngest sister, her long-planned escape from oppression, and the sisters’ unbreakable bonds and explosive liveliness are counterbalances to an account of a state of affairs that holds true for millions of young women the world over. Qu’Allah Bénisse la France (May Allah Bless France) will show on Feb 28. May Allah Bless France is a coming-of-age story and redemption tale based on the rapper and writer-director’s own youth in the beleaguered projects of Strasbourg. In these challenging times for France, and particularly for French Muslims, the film breaks with the pessimism of the “growing up in a slum” genre to propose an intelligent and accessible potential way forward. Closing the film festival this year on Mar 7 is the Jean-Luc Godard’s classic Pierrot le Fou. Pierrot le Fou recounts the romance between wealthy Ferdinand (Jean-Paul Belmondo) and his babysitter Marianne (Anna Karina), followed by their escape to the south of France with gangsters on their trail.